Craving a granola bar?! 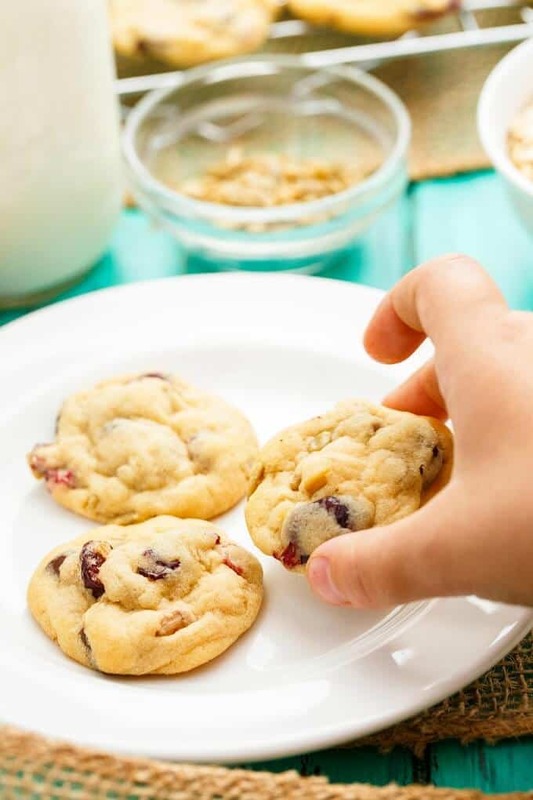 These granola bar chocolate chip cookies are made with all the ingredients you would find in granola bars! Homemade, chewy, and the perfect balance of ingredients! The photos and recipe for these granola bar chocolate chip cookies have been updated as of June 15th, 2017! As a food blogger you are expected to come up with new and creative recipes. And I love doing that! It is part of my job, and sometimes the recipes work, and sometimes they do not. It is all trial and error. 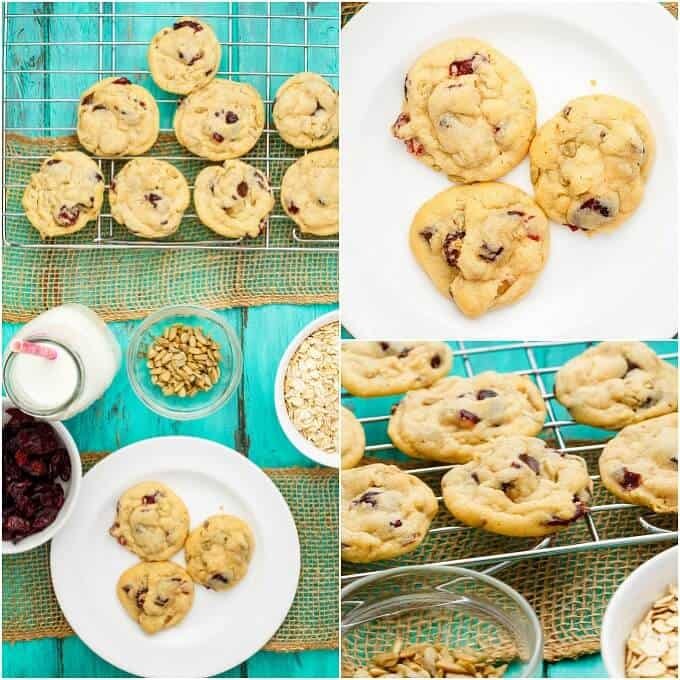 I am happy to share with you these awesome granola bar chocolate chip cookies! I named them this way because they totally reminded me of a granola or nutrient bar when I bit into the first one. Before you knew it, I had already ate four! I love chocolate chip cookies, but these granola bar chocolate chip cookies had oomph to them. It may be the sunflower seeds as I wanted them to shine. It was tempting to name them sunflower seed cookies, but it didn’t sound as fun as granola bar chocolate chip cookies! While these cookies may not be as healthy as granola bars, they would still be nice to take camping or hiking. Moderation is key, and after baking for many years I have learned to control myself (says the girl who ate four cookies as soon as they were out of the oven!) Everyone could not keep their hands off these and in a way I did not feel bad eating a couple extra. In the bowl of your stand mixer, cream together butter and sugars until light and fluffy, about 5 minutes. Add egg and mix until well combined. Stir in vanilla. Sift together flour, baking soda, and salt. Add to wet mixture and stir until just combined. 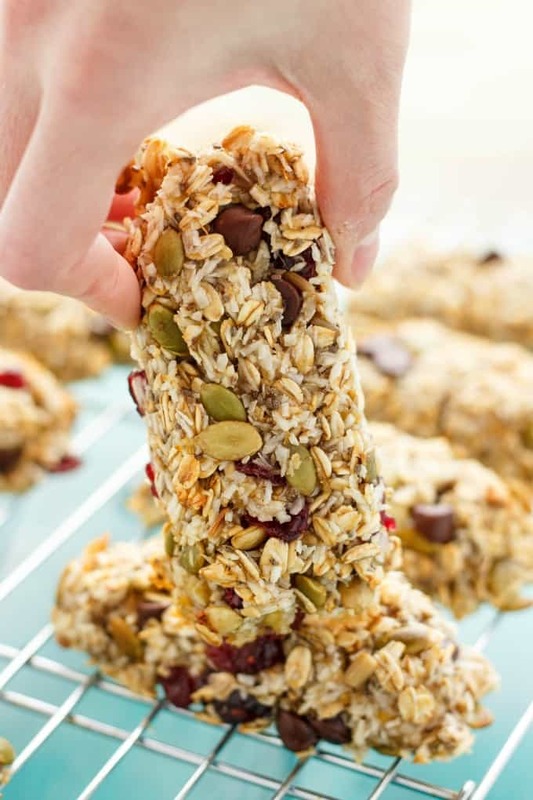 Mix in oats, sunflower seeds, cranberries, and chocolate chips. Measure out 1 tablespoon-sized dough portions. Bake for 8-10 minutes. Allow to cool slightly on the baking sheet and finish cooling on wire racks. It's still morning, but I want to eat these anyway. Can I call them breakfast cookies? These are the PERFECT looking consistency and the photos are so gorgeous. I wanted to reach right into my screen and grab one for breakfast! Thank you, Alisa! Loving the breakfast idea! They look so pretty and so inviting! And since it's granola and that means healthy, I'll have a dozen, please! Haha, we keep convincing ourselves on this "healthy" aspect! This is perfect! I can see it now, Hubby: Are you eating a cookie? Me: Nope! A granola bar! It's a healthy snack! So it's totally fair game to have these for breakfast?!? No judging here! Thanks for stopping by! I love puffy cookies, you nailed this one! What a clever idea! These look so fab! I LOVE all the add-ins in these cookies, they look crazy good! 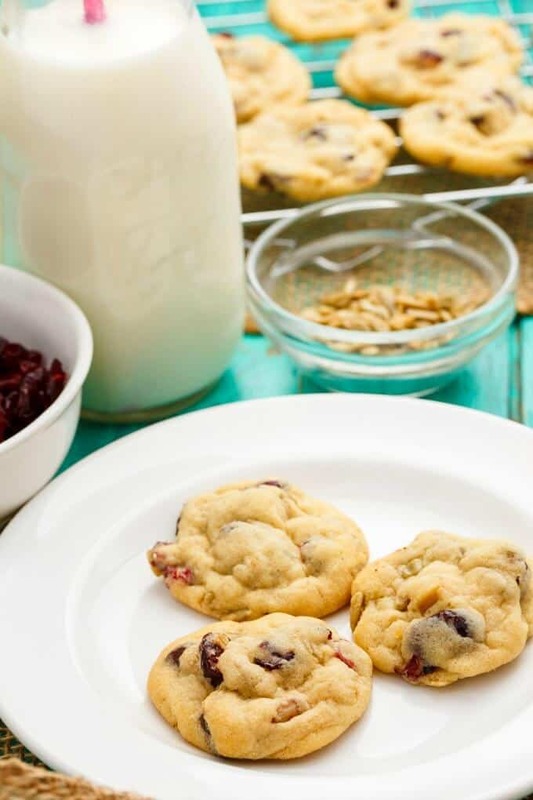 The blend of sweet and salty in this cookie recipe is to die for! Love the sound of these cookies. They are packed full of deliciousness! That is brutal, Andi. I would be visiting the mall, too!